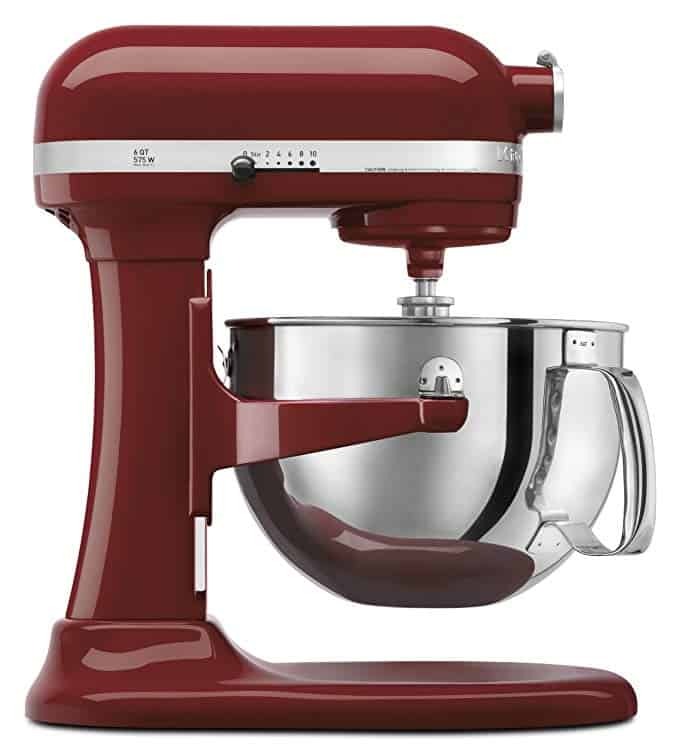 Gift Idea: Save 62% on a KitchenAid Professional Series 6-Quart Stand Mixer, Free Shipping! Amazon currently has a HOT deal that's valid today only (11/28) on a heavy-duty stand mixer by KitchenAid. If you thought this particular model was out of your price range, Amazon's deal might change your mind! Right now, you can pick up the KitchenAid Professional 600 Series 6-Quart Stand Mixer in Gloss Cinnamon for just $185.99 after rebates. That's 62% off the regular price of $500! This mixer also ships for free! Print out the $50 KitchenAid rebate form that's linked on the KitchenAid mixer page. Follow the instructions on the form and make TWO* copies of the completed form plus all required materials before mailing it for your $50 refund. Follow the instructions in the fine print on the bottom right corner of the rebate form to receive another $24 cash back instead of the Food & Wine magazine subscription. Final price: just $185.99 after the two rebates! That's 62% off the regular price of $500! *Keep one copy for your records and submit the other copy for the magazine refund of $24, per the KitchenAid rebate form.